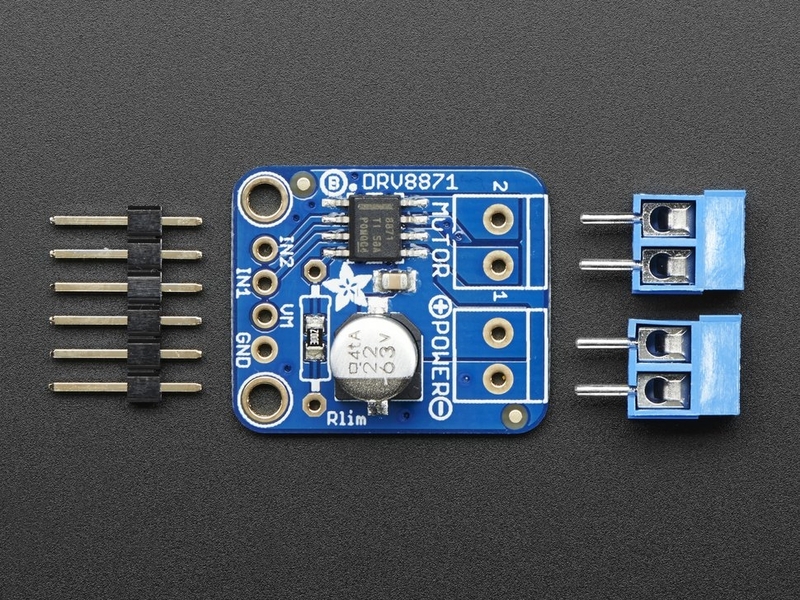 Crank up your robotics with powerful Adafruit DRV8871 motor driver breakout board. 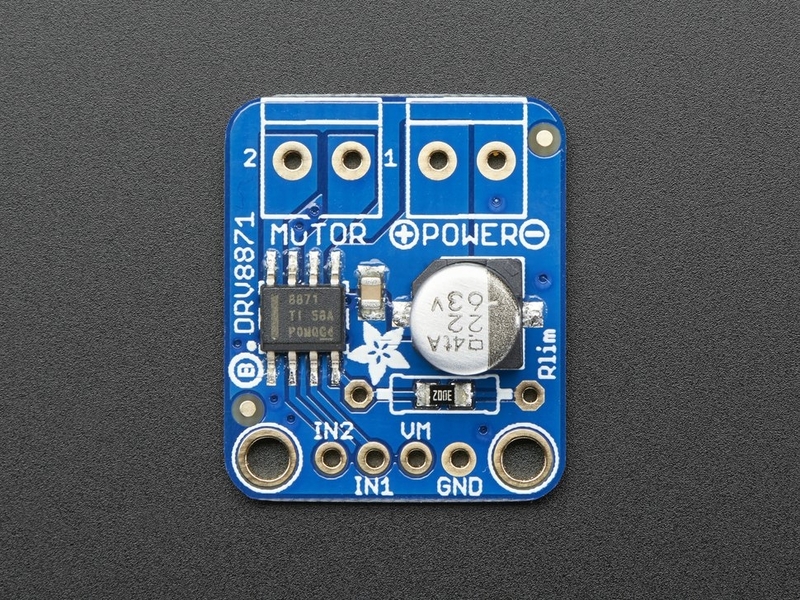 This motor driver has a lot of great specs that make it useful for a wide variety of mechatronics. 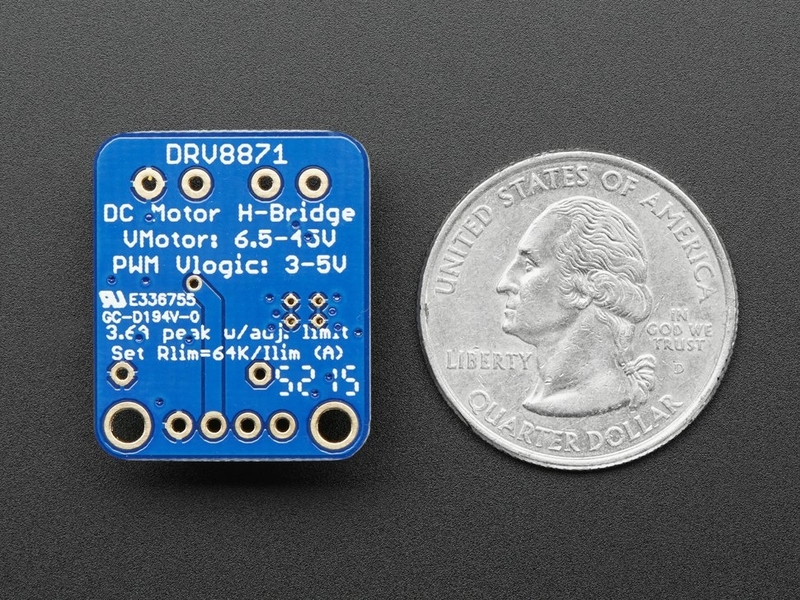 In particular, the simple resistor-set current limiting and auto-magic PWM support make it super easy to use with just about any brushed DC motor. 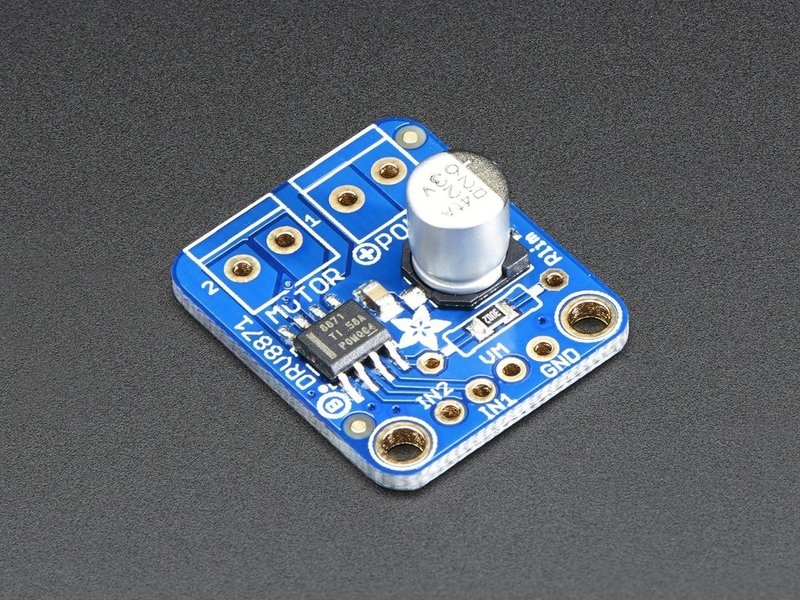 You can set the current limiting with an external resistor Rlim. We solder in a 30K resistor by default for a ~2A current limit, however you can remove this resistor and/or solder a resistor over it to change the resistance and change the limit. 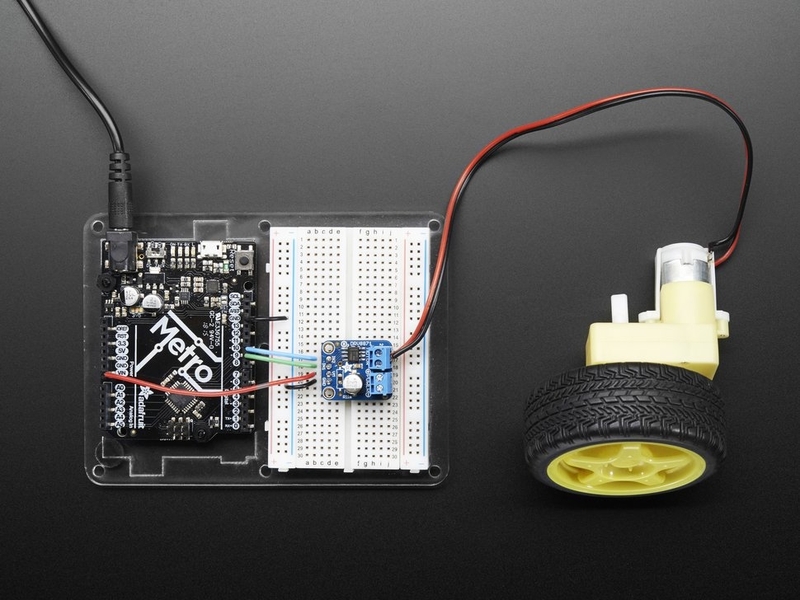 Check out our tutorial for wiring diagrams, CAD files, example code and more!